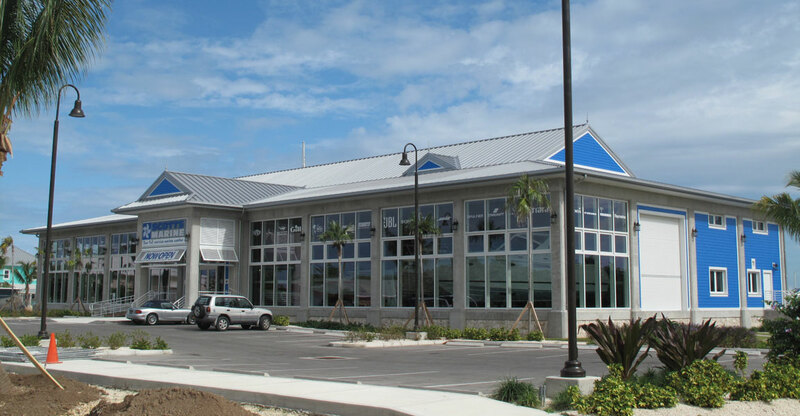 Scott's Marine is a 16,000 square foot boathouse that boasts a 6,000 square foot air conditioned boat showroom that has been suggested to be the only one of its kind in the Caribbean. It has a poured "architectural concrete" frame which was constructed with a specially designed "self-consolidating" concrete mix that was created specifically for this job. The job commenced in October of 2010 and was constructed over a 14 month period.